Finished in 1884 and standing 555 feet tall, the Washington Monument is the world’s tallest structural stone tower and tallest obelisk. 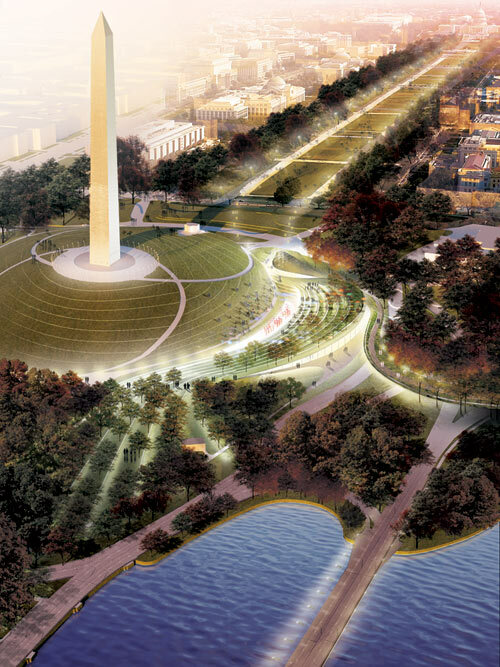 The monument is now closed because of damage it sustained during a 5.8 magnitude earthquake last August. 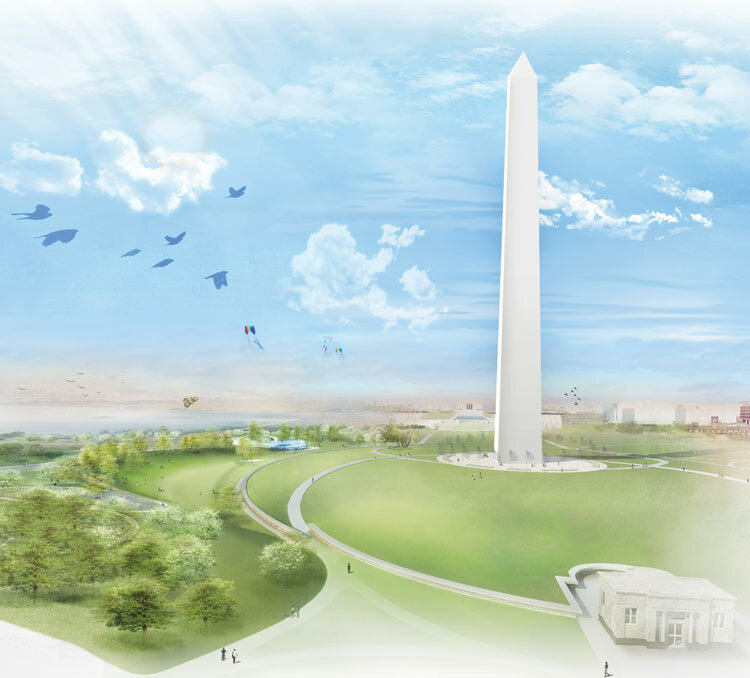 Nevertheless, its grounds continue to host countless visitors who want to view the iconic obelisk up close—or play soccer or fly a kite in its shadow. 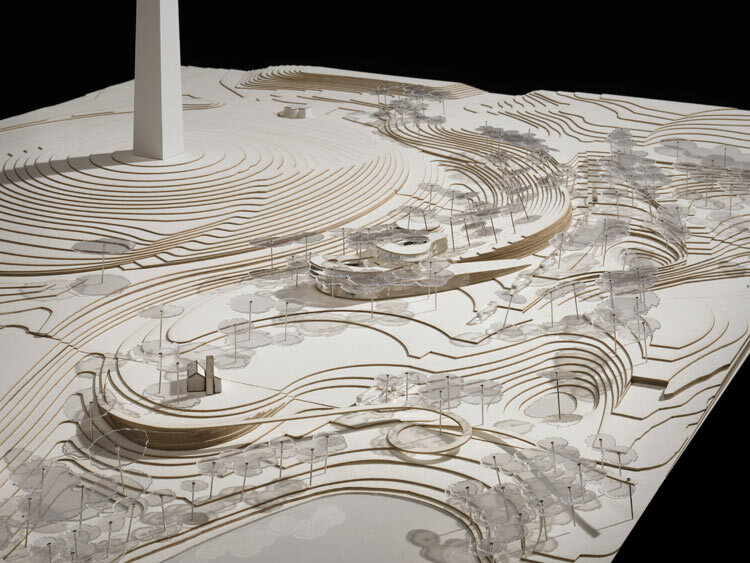 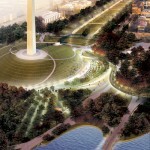 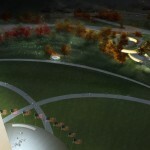 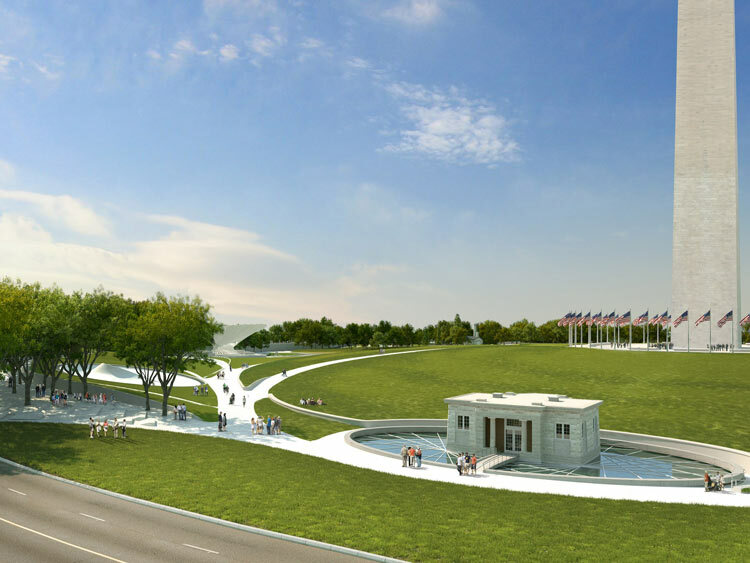 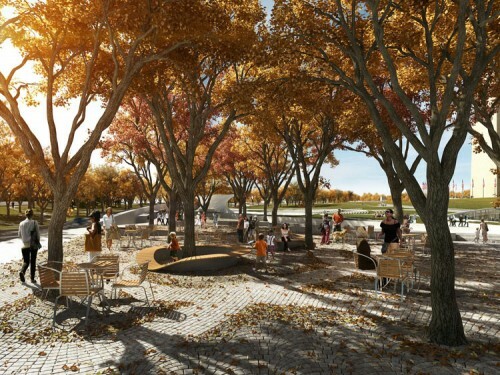 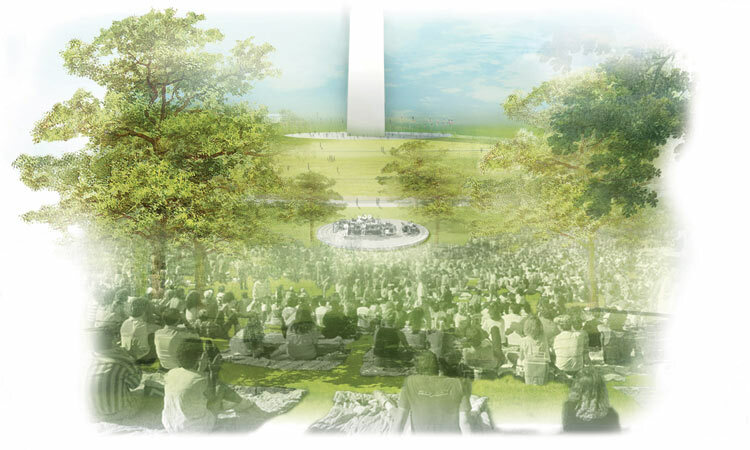 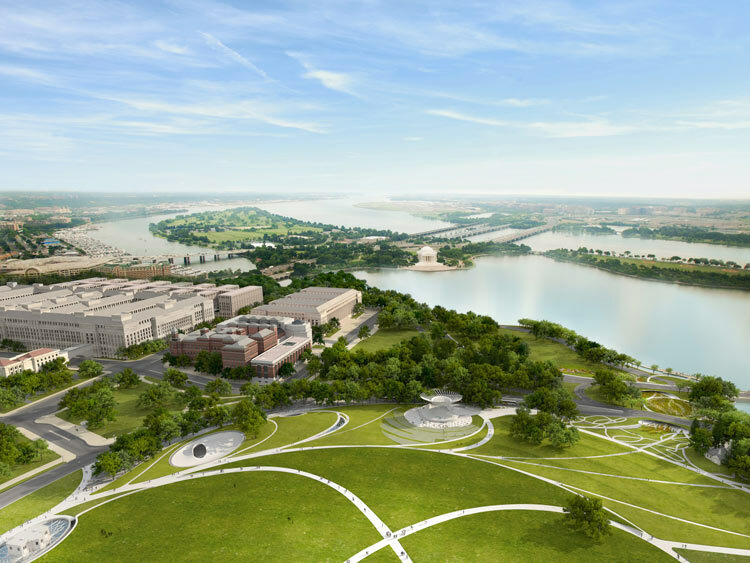 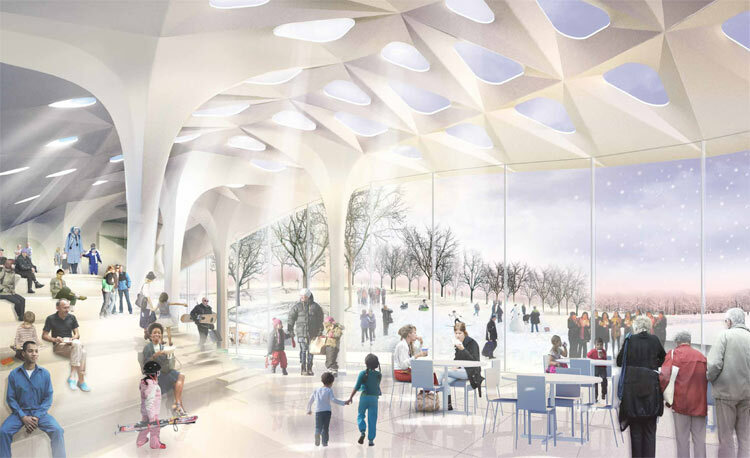 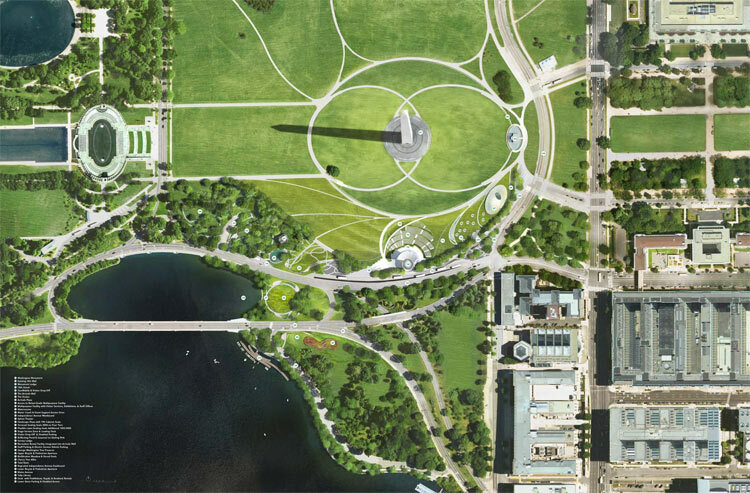 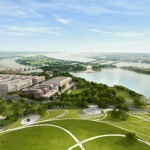 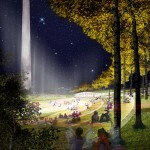 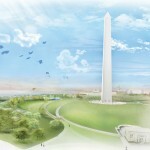 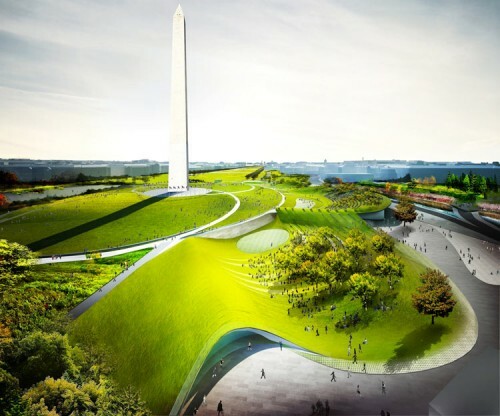 Inspired in part by the monument grounds’ worn condition, the nonprofit Trust for the National Mall launched a design competition to redesign the National Mall. 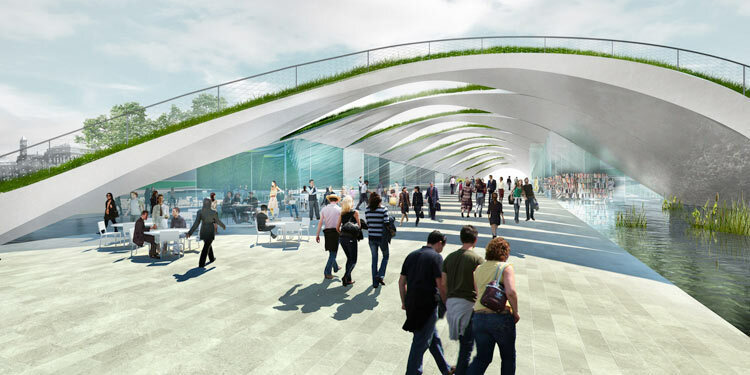 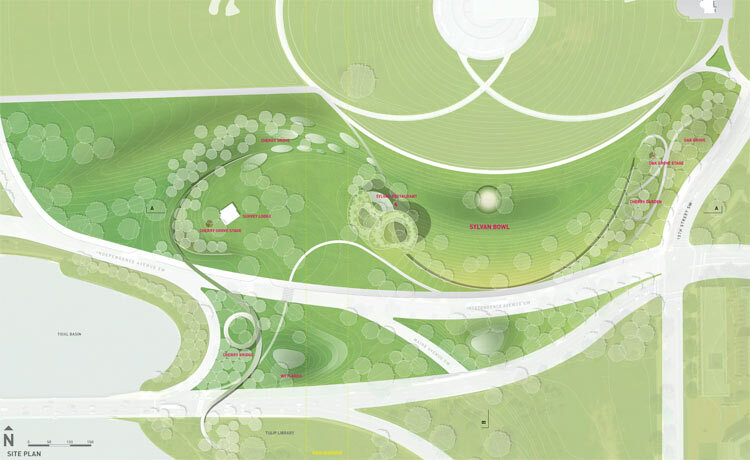 Four concepts have now been shortlisted. 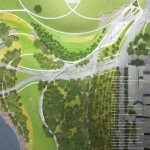 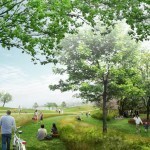 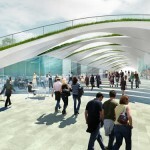 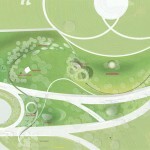 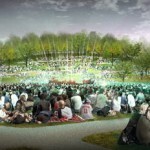 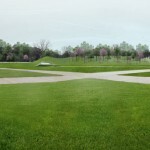 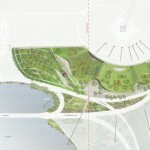 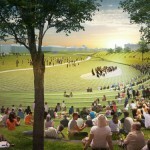 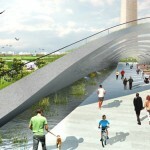 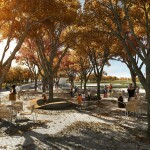 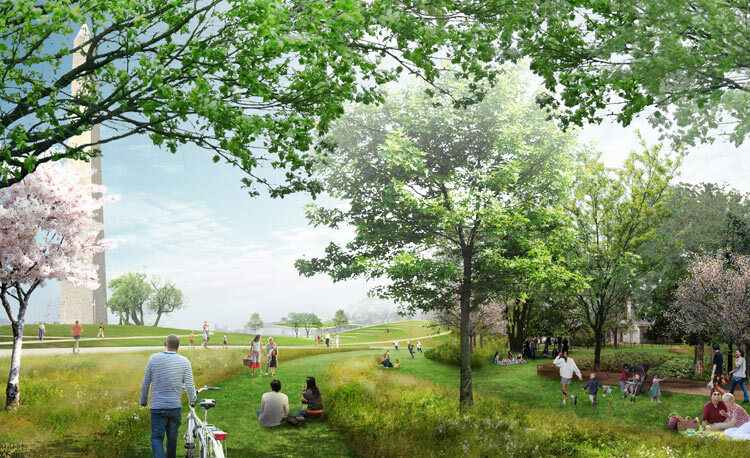 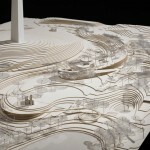 Balmori Associates + Work Architecuture Company: Diana Balmori and Work AC want to “make landscape the main actor” at the site. 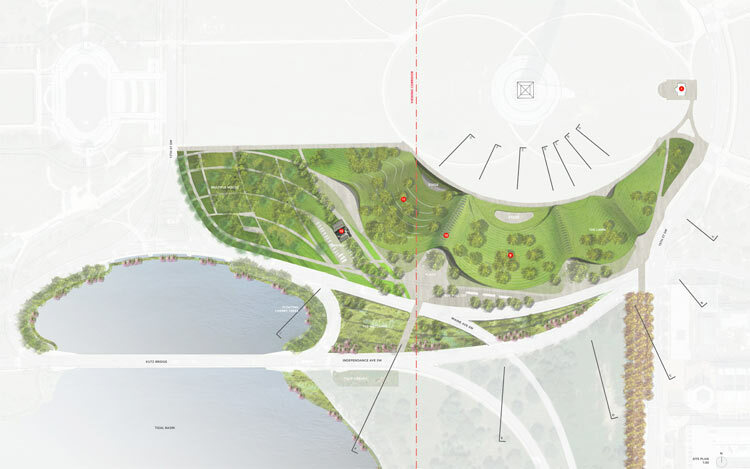 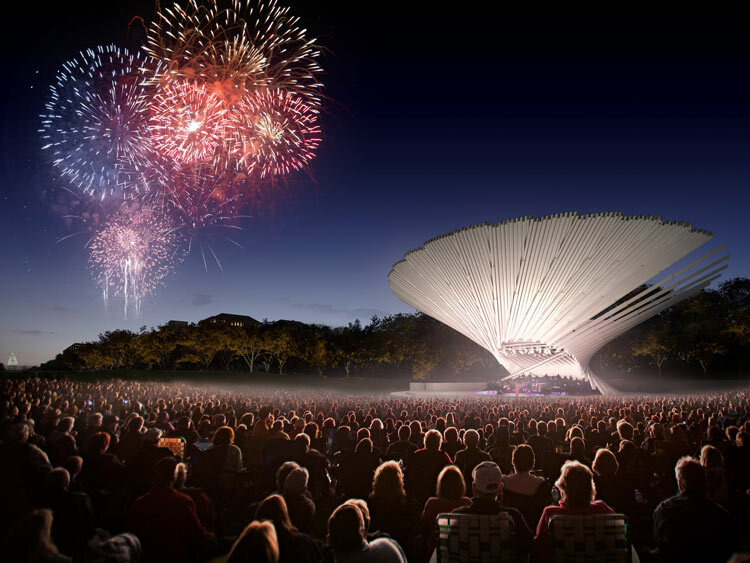 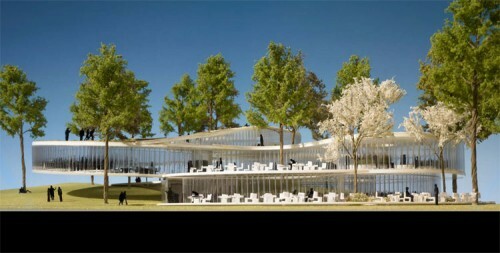 This proposal’s main gesture is a curlicued landform building with restaurant, office, and performance spaces, and other outdoor stages dotted around it. 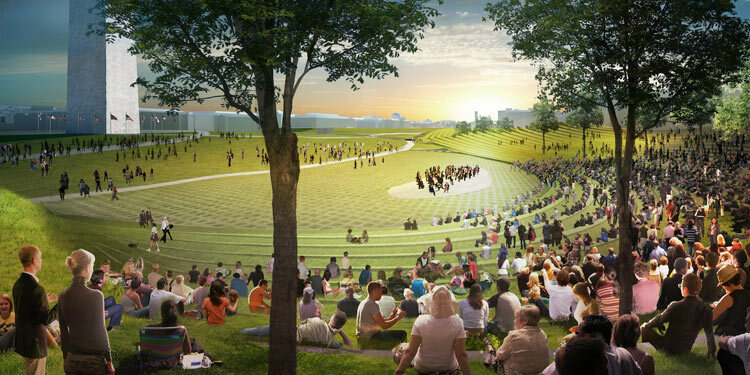 Diller Scofidio + Renfro + Hood Design propose to lift the curved southern edge of the site at strategic points, creating an undulating perimeter that would serve as an outdoor amphitheater, with the undersides of the arches hosting retail or food establishments. 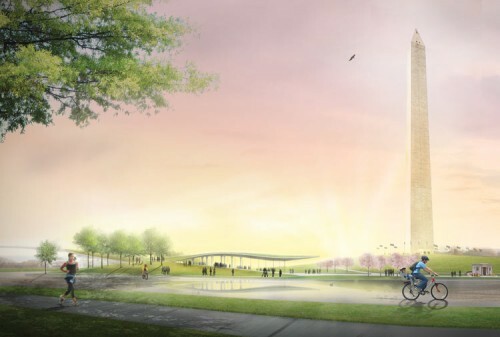 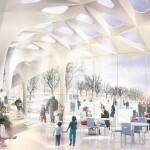 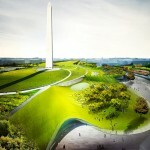 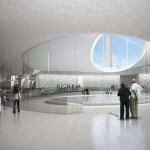 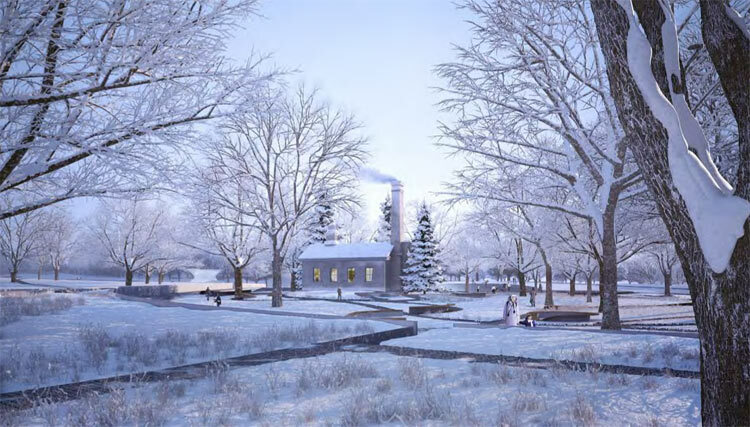 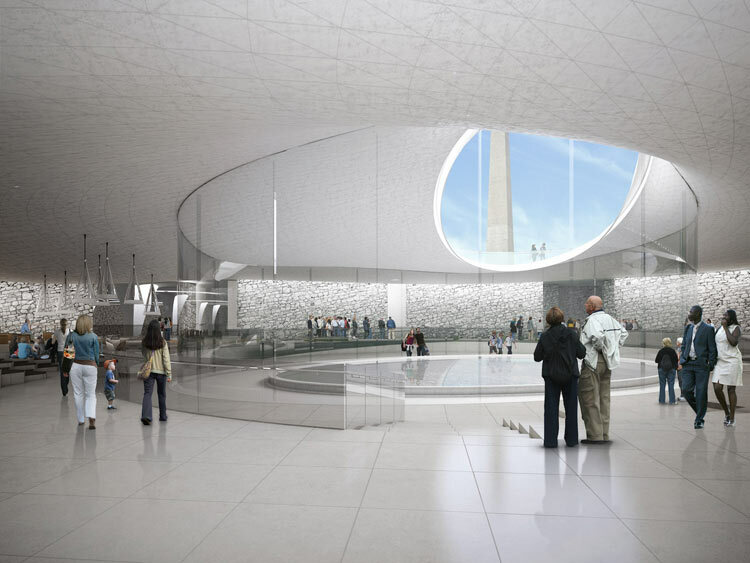 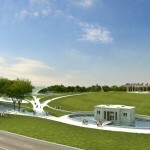 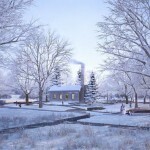 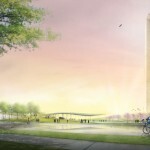 Michael Maltzan Architecture + Tom Leader Studio envision the rehabilitation of the existing Washington Monument Lodge, which would connect to a concealed multipurpose facility with a gallery, a restaurant, restrooms, and other spaces. 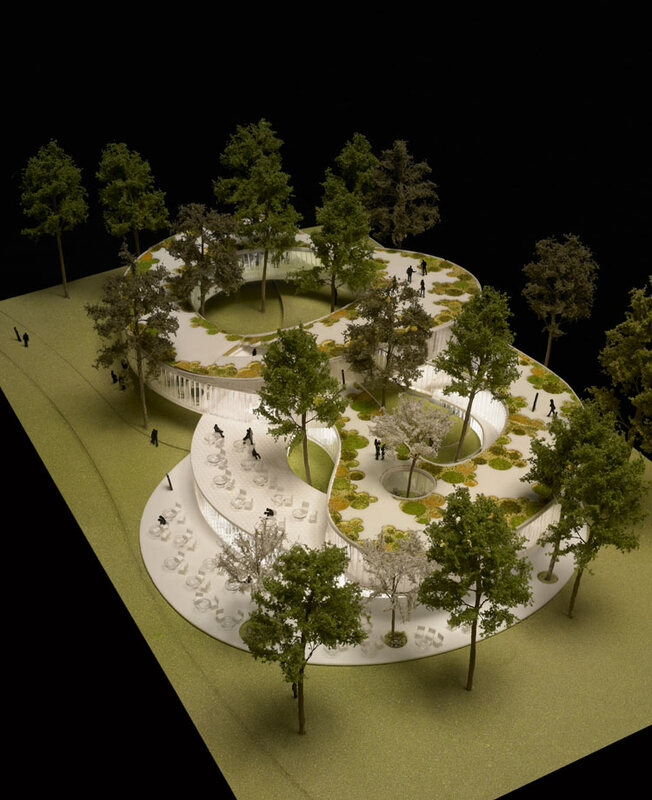 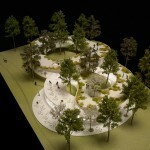 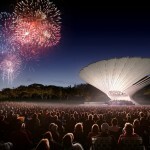 A spiral bandshell is reminiscent of Maltzan’s recent Carver Apartments in Los Angeles. 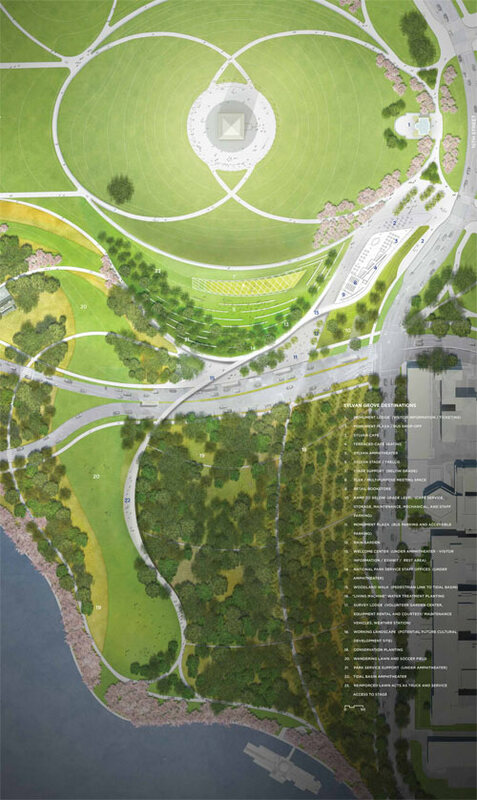 OLIN + Weiss/Manfredi call for a terraced southern hillside to serve as an amphitheater, and for a plaza, cafe, meeting space, and bookstore to be contained in a low-slung, green-roofed building on the Monument’s southeastern slope. 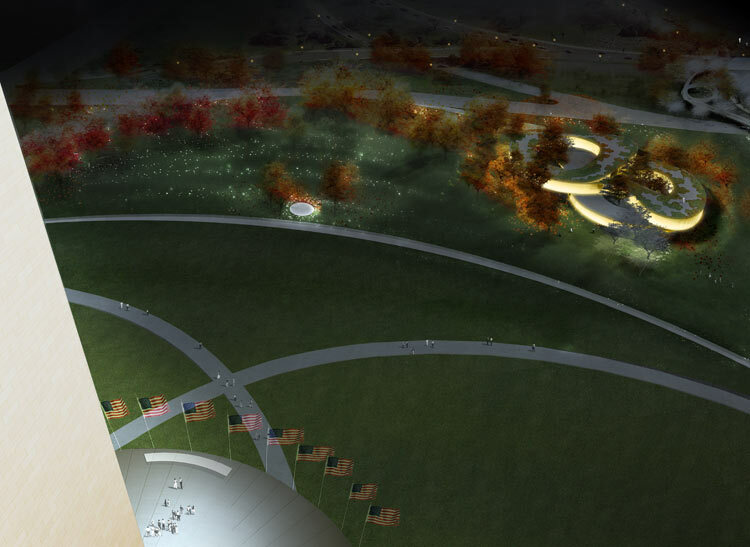 OLIN led a security renovation of the grounds back in 2004. 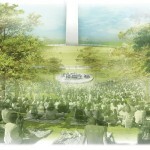 The winning concept will be revealed on May 3. 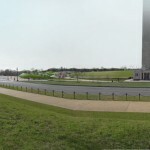 Click on a thumbnail to launch the slideshow. 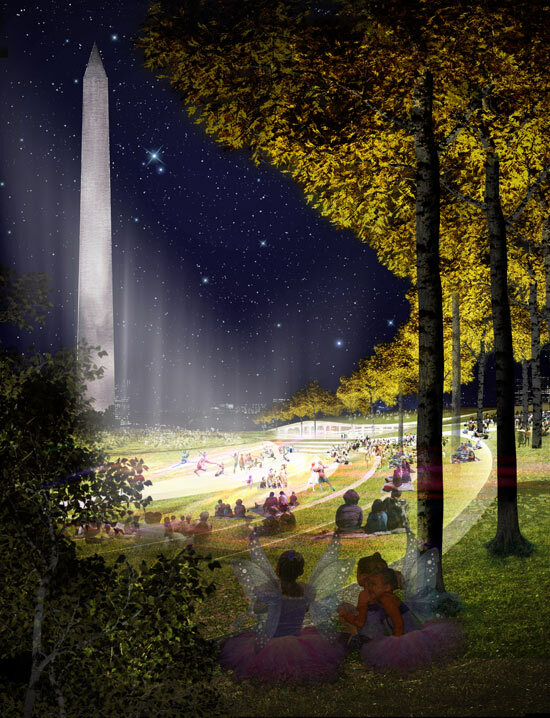 All renderings courtesy respective firms. 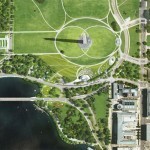 October 15, 2018 Trump’s Parks Department explores restricting spaces for protest in D.C.